On December 10 1908, a meeting was held in an ante-room at the Smithfield Show to discuss whether a national organisation should be formed to represent the interests of farmers. The outcome was the National Farmers Union (NFU). Our first President, Colin Campbell, worked tirelessly to get new branches off the ground, encourage membership and establish the NFU’s credibility with Government, at a time when farming was going through the longest and deepest depression in its history, as imports of cheap grain and frozen meat flooded in from abroad. 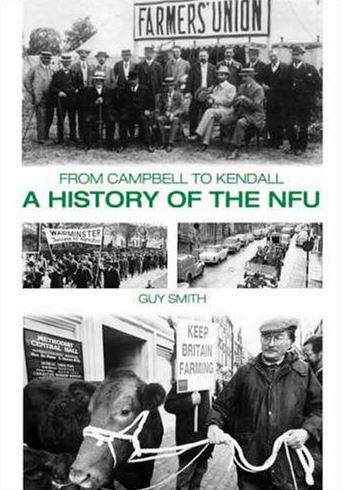 From Campbell to Kendall: A History of the NFU, written by NFU member Guy Smith, is a fascinating catalogue of British farming history. Packed with historical pictures, cartoons and NFU President biographies, the hardback book is available through Amazon here. You can view this below or visit our You Tube channel for Part One and Part Two.